The Recording Industry Association of America announced that Mitch Glazier has formally taken office as Chairman and CEO of the recording industry trade group. Representing “new leadership for a new era” of the music industry, the previously-announced succession also includes the promotion of Michele Ballantyne to be the organization’s Chief Operating Officer, effective immediately. “Music matters. It shapes our culture. It inspires generations young and young at heart. It makes us who we are and binds diverse communities together. I am honored to lead the RIAA during these exciting times as we fight for a music ecosystem that works for everybody – from artists and fans to labels and publishers and songwriters and music services alike. That will require that we both embrace digital music innovations, and protect what has always made music great – keeping the dream alive for the next generation of artists and music creators,” said Glazier. For more than 20 years, Glazier has been at the forefront of building the new music ecosystem. As a senior House Judiciary Committee staffer, he helped pass pioneering legislation that paved the way for the streaming economy, including helping author the Digital Performance Right in Sound Recordings Act to assure that music creators are compensated for use of their music by digital partners. 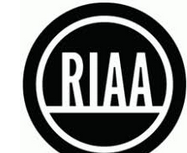 Since joining the RIAA, Glazier has passionately fought for a digital economy in the mutual best interest of the entire music community – from artists to fans to digital music services alike. A respected consensus-builder and problem-solver with deep relationships across the music community and on both sides of the political aisle in Washington, Glazier recently helped build the unprecedented coalition that mobilized to enact the Music Modernization Act (MMA). Throughout that effort, he was credited with finding the common ground that resulted in the law’s passage. Glazier’s love of music dates back to his childhood. As a teenager in the 1980s, he plastered his room with posters from his favorite bands including Simple Minds and INXS. A fan of Chicago Blues, he was privileged to see Koko Taylor live several times before she passed. He and his wife, Carly, have two sons, ages 19 and 16 – one of them a songwriter and musician himself. Ballantyne has worked in the highest reaches of government, including as Special Assistant to President Bill Clinton, Special Counsel to then-White House Chief of Staff John Podesta, and as General Counsel for Senator Tom Daschle. A driving force for updating intellectual property laws for the digital age, she has played an instrumental role in advocating for congressional reforms including the MMA, the PRO-IP Act that established the nation’s first Intellectual Property Enforcement Coordinator in the Executive Office of the President, and the Higher Education Opportunity Act of 2008 that provided colleges and universities with meaningful tools to reduce the illegal downloading of copyrighted works on campuses. Growing up, Ballantyne listened to an eclectic range of music including reggae, soca and dancehall, as well as Motown, classic rock and 80’s pop music. She feels lucky to have had the opportunity to see Prince and George Michael in concert. Her Jay-Z and Justin Timberlake fandom is legendary, although country artist Brett Eldredge is her not-so-secret passion – a constant source of bemusement to her husband and son.